Upon closer investigation of this matter, the evidence led him to the conclusion that there is another document of the Third Secret containing the actual words of Our Lady. So far, the Vatican is still hiding this text while claiming that all is released. 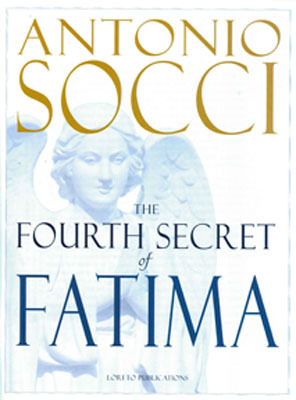 Antonio Socci, for the first time, in this book produces the testimony of a still-living witness from the inner circle of Pope John XXIII, to prove his point. This book, by a friend of Pope Benedict XVI and former friend of Cardinal Bertone, has caused a public sensation and debate. Far from being a "dead issue" the urgent message of Our Lady to the shepherd children of Fatima is now being more critically discussed and examined than ever before.